I liked Samsung’s TabPro S quite a lot when I reviewed it last year – it was one of the better executed Surface clones I’d tried. Now the company has revealed its spiritual successors, the much more reasonably-named Galaxy Books. 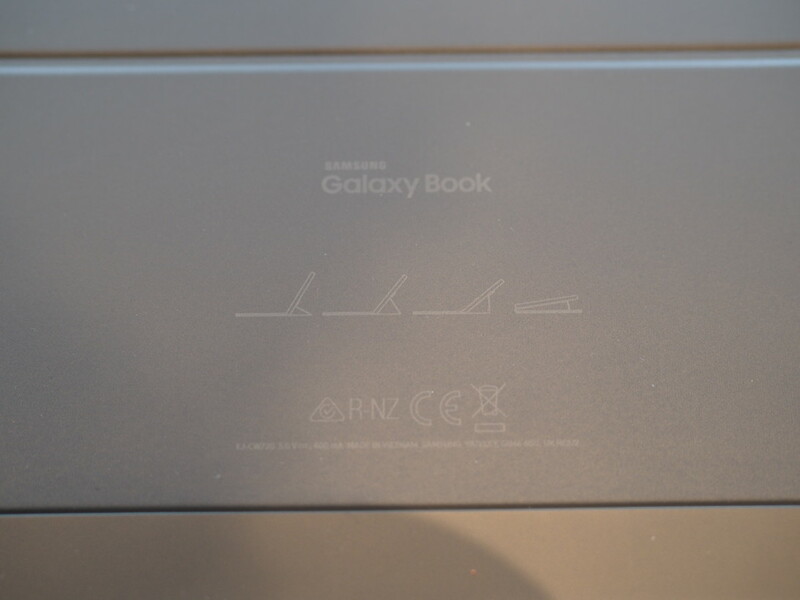 The Galaxy Books come with an iPad Pro-like keyboard case, which have the added benefit of covering both the front and the back of the tablet. 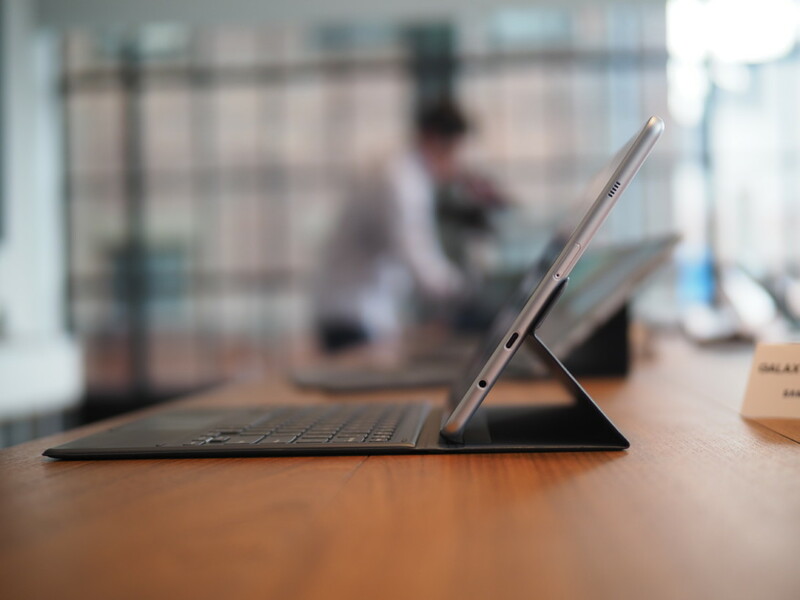 It’s been improved a good deal over the TabPro S. I thought that one was pretty fine, but this time around the keys take on a chiclet style with substantially more travel and – hooray! – backlighting. From my brief impressions, it’s right up there with the Surface Pro 4 and even some fixed keyboards. The one on the 10.6 in model is noticeably more cramped, but the key action is pleasant enough I didn’t mind. Your mileage may vary. The AMOLED screen on the larger model is gorgeous. The colors are saturated but, more accurate than I remember the TabPro S being, and it seems to get quite bright as well. 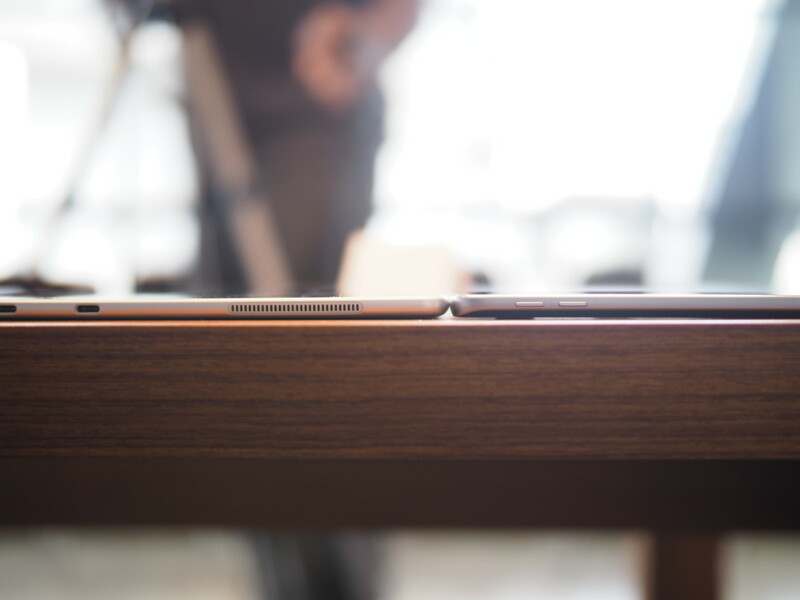 As it should: the larger model is equipped with HDR support. Unfortunately, it wasn’t activated on the pre-production units I tested. The smaller model uses a less impressive LCD, but colors, contrast, and viewing angles were still quite good. It’s just, you know, not AMOLED. Both tablets were quite light and easy to hold in hand, with the 10-inch tablet feeling just like any other tablet. The new, chunkier S-Pen unfortunately does not dock into the unit, but it can be attached to the keyboard case. It feels like a big leap from the previous generations. The finer 0.7mm tip makes writing notes feel a little more accurate, and Samsung has nailed the rubber-on-glass texture. I couldn’t feel any latency in OneNote. Tilt sensitivity is a much welcome addition and advantage over most other Surface clones. It wasn’t yet ready for Samsung’s own note app, but it worked just fine in Photoshop. The keyboard also comes with a new easel configuration; artists will want to take a good look. I only have two real caveats so far. 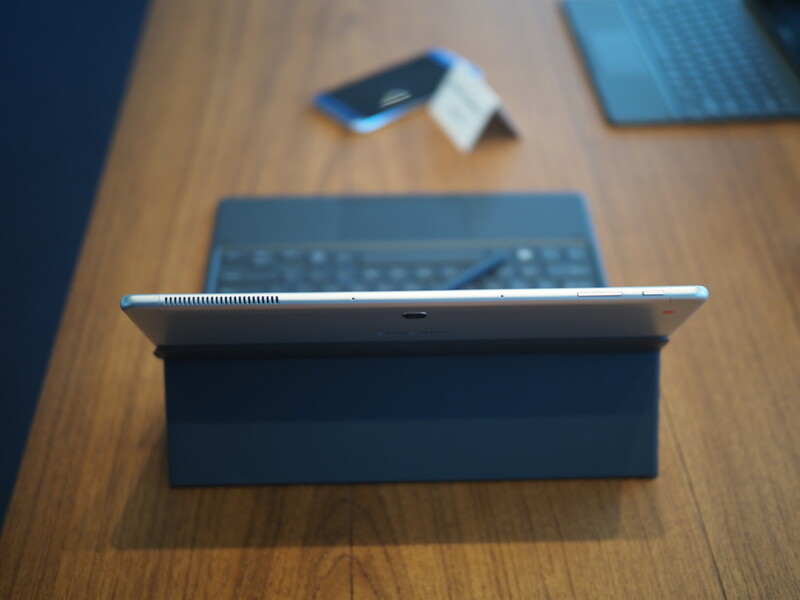 Though they feel solid, both tablets are a supremely generic silver and grey – sort of like iPad knock-offs – instead of the premium black or white leatherette options from the TabPro S. Second, I wish there were a Thunderbolt 3 port on at least the larger model. Battery life also an important unknown. Samsung is claiming 10 hours of battery life on the smaller model and 10.5 on the larger one, but we’ll have to see how that holds up. 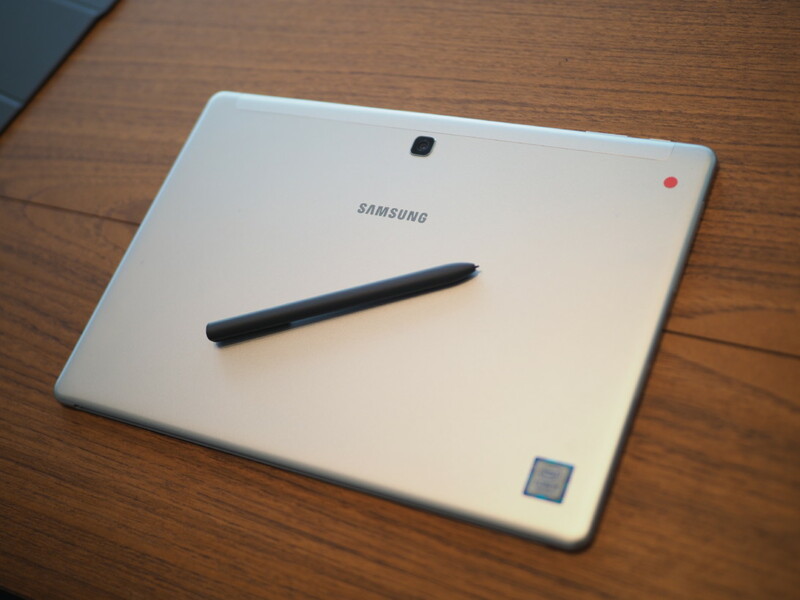 Still, considering they come bundled with both keyboard and stylus, Samsung might have another winner in its hands if it can price these things right.